AQUA is a research group within Keio University Shonan Fujisawa Campus Tokuda, Murai, Kusumoto, Nakamura, Takashi, Banmi, Uehara, Mitsumi and Nakazawa Joint Research Project. Moore’s Law, the concept that the density of transistors in a computer chip doubles every two to three years, is facing fundamental limits as transistors begin to be made out of only a small number of atoms. Progress in computer hardware is slowing down, and our ability to solve ever-larger problems is jeopardized. One route to solving some important but difficult problems is through the development of quantum computers. Quantum computers will use the mysterious effects of quantum superposition, entanglement and interference. In AQUA, we are applying what we know about classical computer and network design to the design of large-scale quantum computers and a Quantum Internet, helping to realize computing for the post-Moore’s Law era. The AQUA group is researching system organizations, circuit structures and algorithms to accelerate the development of large-scale quantum computers. 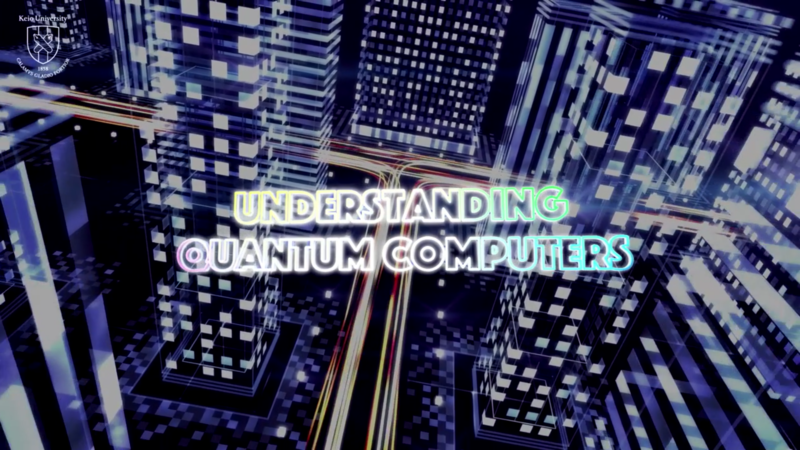 From the fall of 2017, we have released a course on quantum computers at FutureLearn, an international large online publicity online course (MOOCs) delivery entity. For Associate Professor Rod Van Meter of the Faculty of Environment and Information Studies, lecturer, who is planning to tackle the fields of domestic and international high school students, students, and quantum computers from now on, what is a quantum computer, how to live nearby It is a course that makes it easy to understand whether it is useful for practical application or not. Language is English (some Japanese), English subtitles are available. Discussions between students are conducted in English. Tuition fee is free. In this course, we will discuss the motivation for building quantum computers, cover the important principles in quantum computing, and take a look at some of the important quantum computing algorithms. We will finish with a brief look at quantum computing hardware and the budding quantum information technology industry. You need browser which support "video tag" to watch this video. ©2007-2017 Tokuda/Murai/Kusumoto/Nakamura/Takashio/Van Meter/Uehara/Mitsugi/Nakazawa Laboratories. All Rights Reserved.